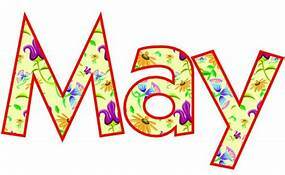 Welcome May and Warm Weather! Well, I think that we can all agree that we’re glad April has come and gone. It was such a bizarre month for weather forecasts- some warm days as “teasers” and then back to snow flurries. So let’s say good riddance to April! As the saying goes, “April snow flurries bring May Flowers”. Okay, that’s not the saying, but it should be for around here! Enjoy the nice, warm weather!!! 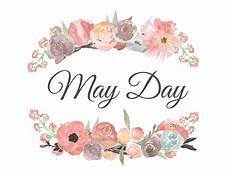 May Day, the first of May is celebrated around the world. It has a number of meanings. In many other countries, it is a celebration of spring and the coming of summer. It is celebrated with many spring flowers, many of them blooming right in your own backyard. To communist and socialist countries, it is a celebration for the workers. In many countries, it is celebrated as part of a one to three day holiday. Of particular note, it is not a national holiday in the United States, except in Hawaii where it is known as “Lei Day”. Mother Goose Day was created only recently, as a day to appreciate nursery rhymes and stories. They are a favorite of children and their parents. The term “Mother Goose” dates back to the 1650’s. It referred to stories like Cinderella, Little Red Riding Hood, and Sleeping Beauty. 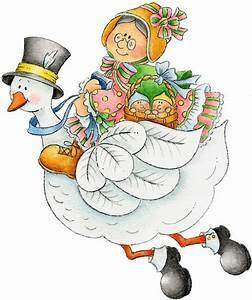 It does not appear to represent a particular person, as many of “Mother Goose” stories were written both before and after this term was first used. And, the stories were written by numerous authors. Enjoy “Mother Goose Day” by reading Mother Goose stories and rhymes to your children or grandchildren. According to the Mother Goose Society: “Mother Goose Day was founded in 1987 by Gloria T. Delamar in tandem with the publication of her book, Mother Goose; From Nursery to Literature. 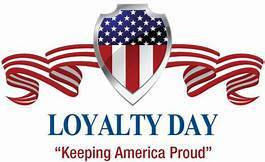 Loyalty Day was first celebrated in the 1920’s. Communism was o the rise, and feared in America. At the time, May Day (May 1st) was perceived by some as a Communist holiday. In a sense, Loyalty Day was intended to counter this. Q: What animal has roamed the earth for over a million years, and has been hunted to near extinction? A: You guessed it, the Rhinoceros. Save the Rhino Day encourages us to be aware of, and support efforts to save the Rhinoceros from extinction. The Rhinoceros is a fascinating creature. Native to Africa, this leftover from the age of Dinosaurs was hunted to near extinction. 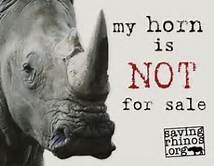 Hunters on safaris killed Rhinos just for sport. Poachers hunted them for their horn. The horn has been used as medicine, and for making knife handles, carved statues, and other objects. Animal rights groups have helped to save this animal from extinction, and their numbers have rebounded somewhat. Did you know? The horn of the Rhinoceros is composed of the same material as your fingernail. You can enjoy Save the Rhino Day in a variety of ways. Watch documentaries on the Rhinoceros. Visit Rhinos at a zoo. Better still, go on a safari to see one! You can also donate to groups working towards preserving the Rhinoceros. http://arcadiawindber.com/wp-content/uploads/2018/05/May-Clip-Art.jpg 175 285 Windber Arcadia Windber Arcadia2018-05-01 15:36:182018-05-01 15:37:27Welcome May and Warm Weather!